"Why should i join mun?" 1. It's a great way to meet new people! 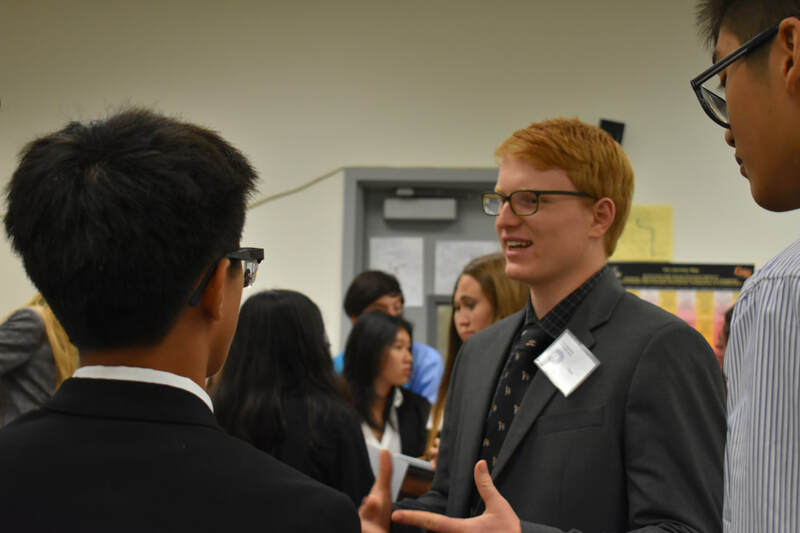 Our Model United Nations club offers a way for Los Al students of all grades to meet and interact with a diverse group of students. Many have found the club to provide not only a welcoming atmosphere to all those who join, but also find a community and a family to belong to. At MUN, you'll be able to make friendships to last a lifetime as you endure committee together, just by hanging out together during our lunch meetings, or even going on our travel conferences together! Here, you can form new bonds, strengthen old ones, or reignite former friendships. Not only will you be meeting new people from our school, but as you travel to more conferences, you'll be able to meet new students from other schools! Many MUNers have walked away from their conferences with new friends, many of whom continue to keep in touch to this day. At the end, we're all one, big family from all across the globe and all across our diverse campus! Even some of our greatest delegates start at the bottom. Many of our former Secretary Generals (otherwise known as our club presidents) used to be terrible at public speaking and joined the club to better this skill. Through Model UN, they were able to improve this important life skill and become more confident! Many went on to succeed in advanced conferences and come home with many awards and proud grins on their faces. Model United Nations provides multiple opportunities for students to practice public speaking and helps them prepare for life after high school! While many high school classes and activities may be considered useless in the real world, this club is an exception. P.S. An unknown secret - most of our greatest delegates tend to be introverts! Many of our former presidents are also introverted! However, Model United Nations helped them find their voice and are confident speakers to this day. 2. It's an opportunity to improve your public speaking skills! Statistically, a student with Model United Nations on their application is more likely to be admitted than a student without MUN on their application. Why? If you're a part of MUN, it tells admissions officers that you are dedicated, you are interested in the world around you, you are able to engage in diplomatic, respectful conversations with others, you can collaborate, you can solve complex problems (climate change, refugee crises, no biggie), and so much more! Being a part of MUN implies a lot about you as a person, and if you have it on your college application, it will show that you are that much stronger of a candidate. Colleges also know how much of a time commitment MUN can be (many of them have their own conferences and travel teams) and thus know how much time you're spending outside of class doing meaningful activities. Still not convinced? Here's a list of colleges (pictured to the left) our beloved alumni are attending, just to name a few. For the politically passionate, for those interested in the world, or just simply curious about the environment, Model United Nations provides an outlet for you to explore your curiosity. 4. You get to learn about and solve real world issues!